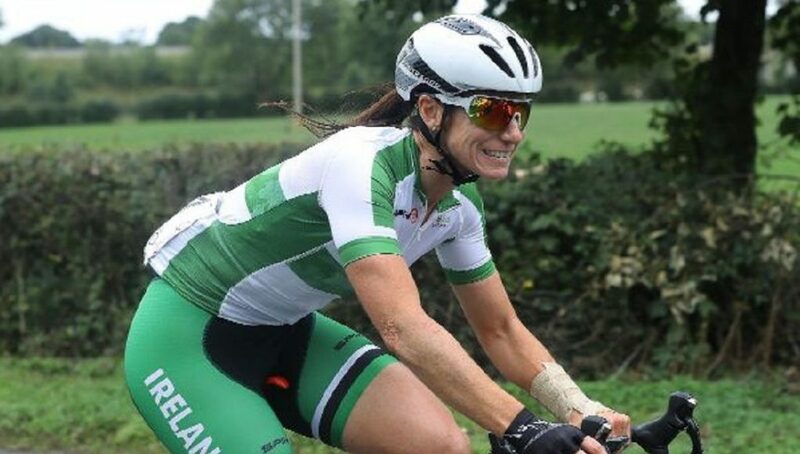 Eve McCrystal ended 2018 in the number one slot in the Cycling Ireland domestic rankings and for 2019, she is targeting the double of National Road Race Championships and the National Road Series. In preparation for the season, McCrystal has been combining her solo riding around Dundalk with training on the velodrome in Mallorca as pilot of Katie George Dunlevy’s paralympic tandem. 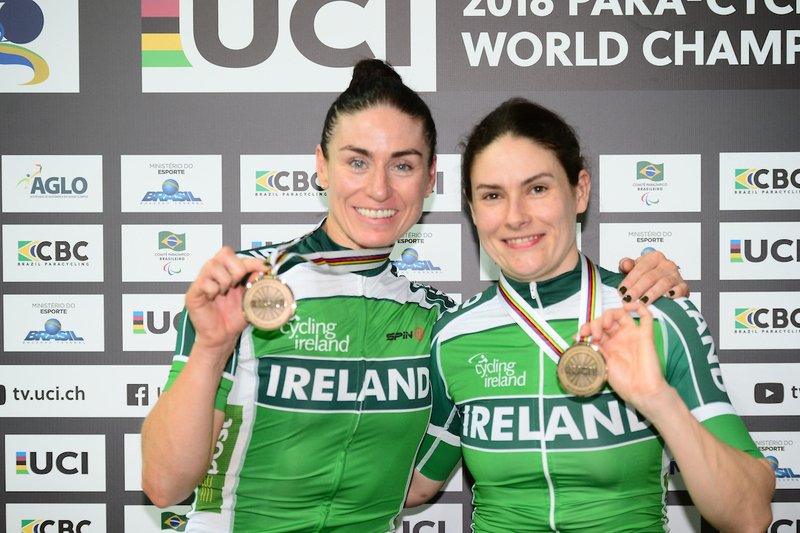 Rio gold medallist McCrystal will miss the start of the road season as she and Dunlevy make their final preparations for the upcoming Paracycling World Track Championships which represent one of the two most important events in her racing season. 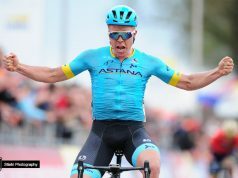 The other is the Paracycling World Road Race Championships in September and these two events will bookend a season which offers McCrystal important opportunities to hone her strength and chase personal goals in solo racing. “First of all I’ve the track worlds and when I have that done I’ll be on to the road,” says the Rio Paralympic gold medallist. 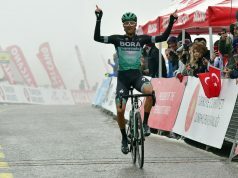 “Always my main focus is the tandem with Katie but I will use solo racing at home. I’ll do the domestic season and I’ll do the National League races as many as I can do. 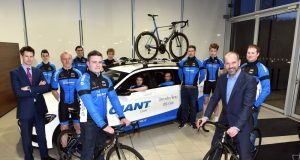 McCrystal, the reigning national road race champion and 2017 National Road Series winner, has extra motivation thanks to moving to a new team to which she has brought her National Road Champion’s jersey won in Sligo last June. “I’m riding with Strata 3 so I’m really looking forward to that. It’s a motivation in itself when you start riding with a new team so I’m really looking forward to it. McCrystal sees her tandem paracycling and solo racing as complementary and mutually beneficial. McCrystal’s solo goals are not just domestic. 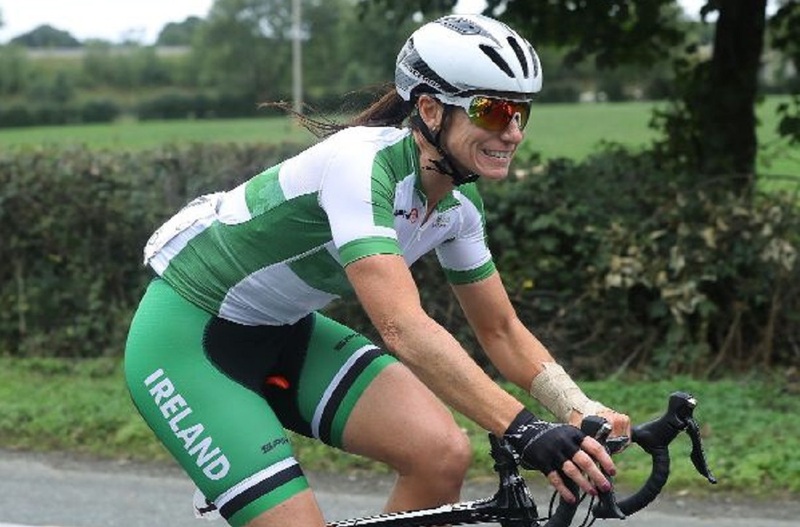 Having ridden on the Irish team in the Kreiz Breizh Elites Dames in Brittany last year she is eager for more opportunities to ride UCI events in green.